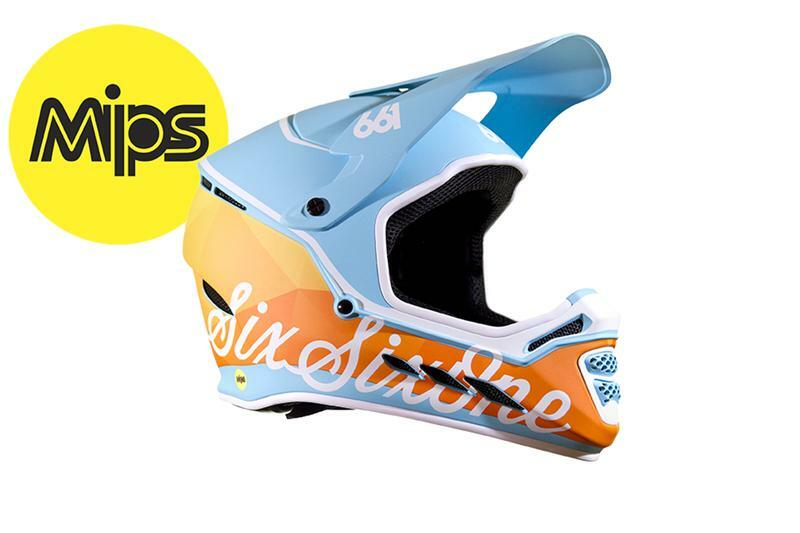 SIXSIXONE has been known for offering protective equipment for mountain biking at a reasonable cost. Their RESET helmet has been one of the more affordable options available for full-face coverage. Now the company has added MIPS technology to the RESET helmet. MIPS Technology adds a low friction layer that allows independent movement between the outer shell of the helmet and the wearers skull. This ability to absorb rotational forces helps to reduce the change of head injuries in the event of a crash. The RESET MIPS is available in two colorways and seven sizes (yes, you heard that right, seven). Claimed weight for a medium is 1100g (size medium). They are available today for $150.